Welcome to my lair, oh wanderer on the winding path between the pages of the intricate world-wide net. Thou shalt find here and on the following electronic scrolls a careful compilation of interesting information about Ultima. It's a pleasant reading for those, who will make efforts to learn more about Britannia's glorious history and his kind sovereign Lord British. I will bring you also tidings of the thrilling and often troubled adventures of the Avatar. Willkommen in meinem Lager, oh Wanderer auf dem verschlungenen Pfad zwischen den Seiten des unüberschaubaren weltweiten Netzes. Ihr findet auf dieser und den folgenden elektronischen Schriftrollen eine sorgfältige Compilierung interessanter Informationen zum Thema Ultima zur ersprießlichen Lektüre für diejenigen, die sich befleißigen mehr über die glorreiche Historie Britannias und seines gütigen Souveräns Lord British in Erfahrung zu bringen. Auch über die spannenden und oft auch erschröcklichen Abenteuer des Avatars wird Euch hier Kunde getan. 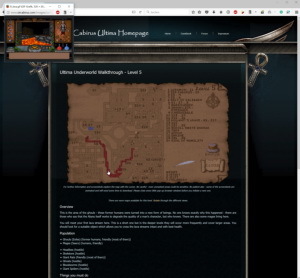 After the release of my Ultima Underworld 2 walkthrough I wasn't satisfied with my Ultima Underworld 1 walkthrough any longer. The Ultima Underworld 2 walkthrough has bigger pictures which one can invoke from the different maps. And these pictures are shown more centred. 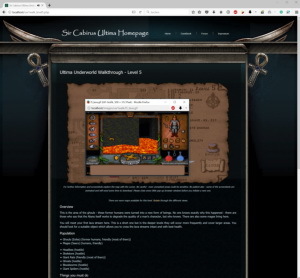 The Underworld 1 walkthrough had smaller pictures which appeared in the upper left corner of the browser. Therefore I decided to make a major reworking of the Underworld 1 walkthrough. I resized 209 pictures and movies, changed 20 pages for the new resolution and corrected some errors. I also added some new screenshots and movies. The reworking of my walkthrough is dedicated to Optician Dragon / Mark Morris who passed away in 2012. Optician was my main proofreader back in the days when I created this walkthrough the first time. Rest in peace my friend - see ya on the funway! Why is it that anytime you ask an RPG fan what their favorite game is, they will almost inevitably name a game that was made 30 years ago? 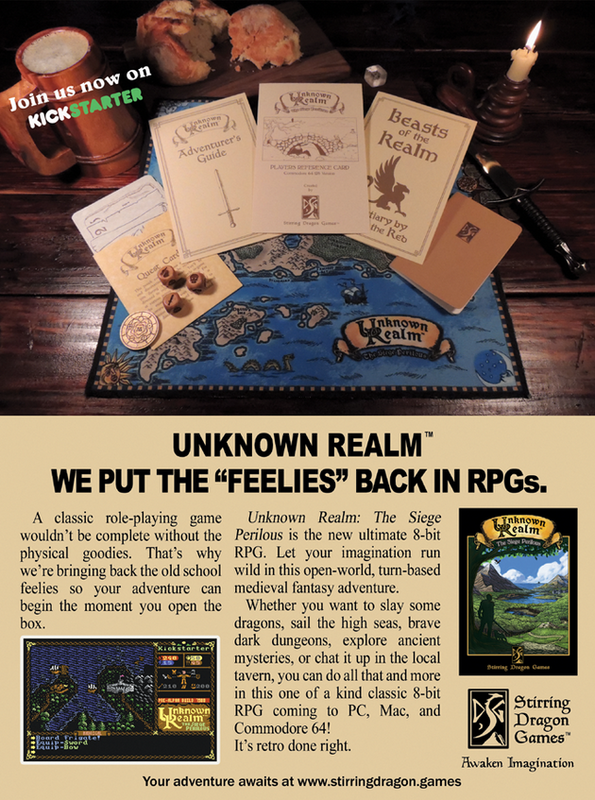 You know the games we're talking about, games like Ultima, Legacy of the Ancients, Wasteland, SSI “Gold Box” titles, or some other game from the “Golden Age” of RPGs. Despite the high-end graphics and advances of modern RPGs, they still somehow fail to live up to the enjoyment found in these fan favorites of the past. 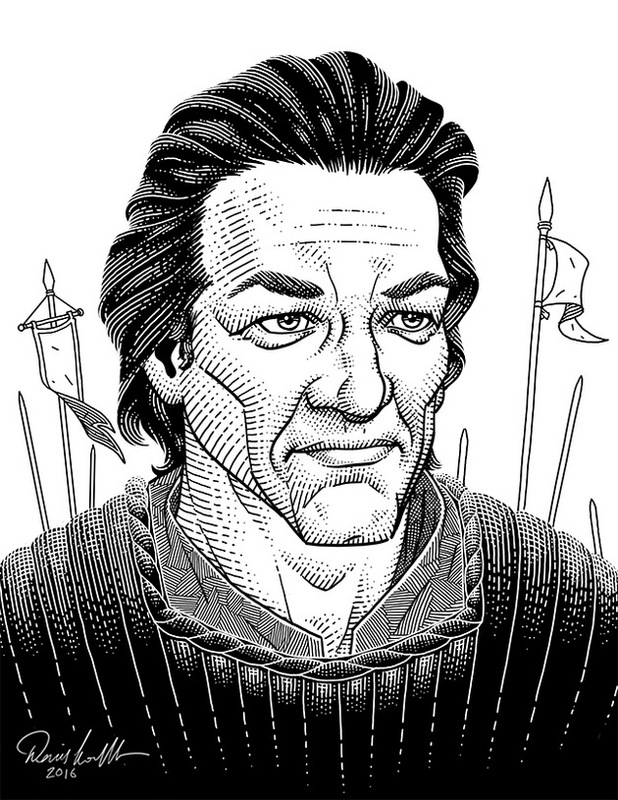 Let’s face it: those low-fidelity RPGs had something special. They had the perfect mix of presentation and gameplay that allowed your imagination to run free. 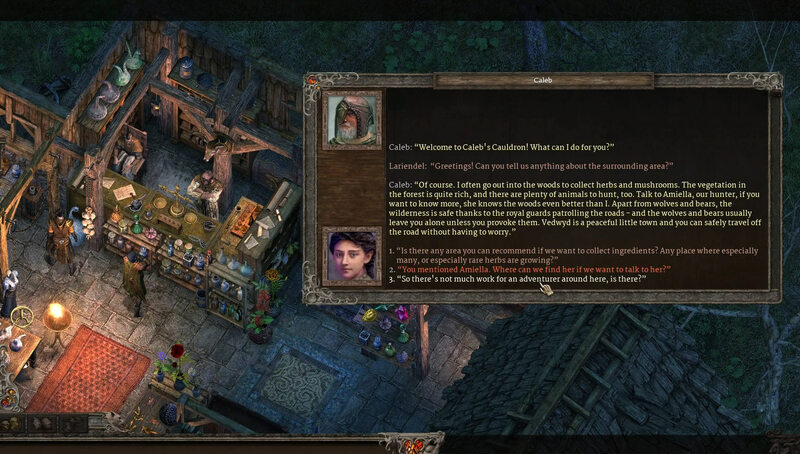 Sadly, for some reason, game companies decided to stop making single player RPGs like this and thus abandoned a generation of RPG fans … until now. Here are some cool pictures of the game. Look at them and you will know why I like and support this game. Please keep in mind the reward photos show working prototypes; the artwork and materials of the final versions may change a bit. If you want to learn more and if you like old style games like this, consider becoming a backer of this campaign. Ultima and Lord British, etc. are trademarks of Richard Garriott, Origin Systems, Inc. and Electronic Arts. Shroud of the Avatar is a trademark of Richard Garriott and Portalarium.